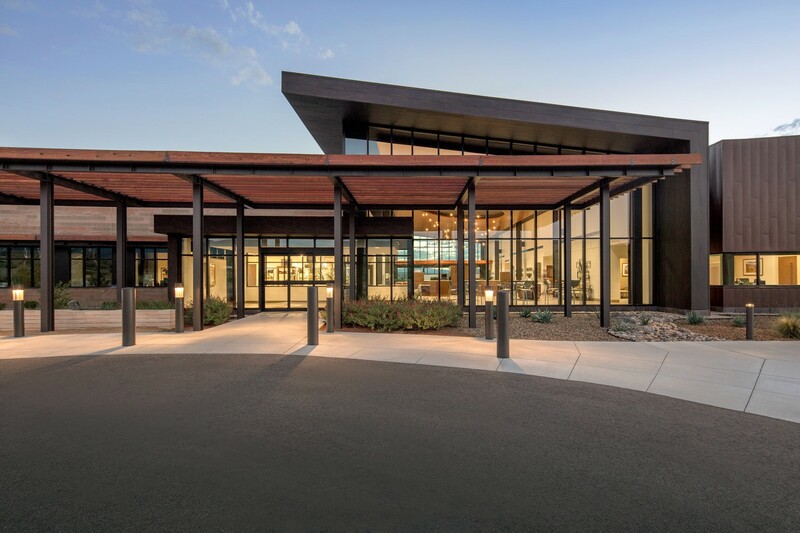 Northern Arizona Healthcare’s Camp Verde Clinic made an investment in the health of their community by expanding primary care, diagnostic and rehab services in rural Arizona. 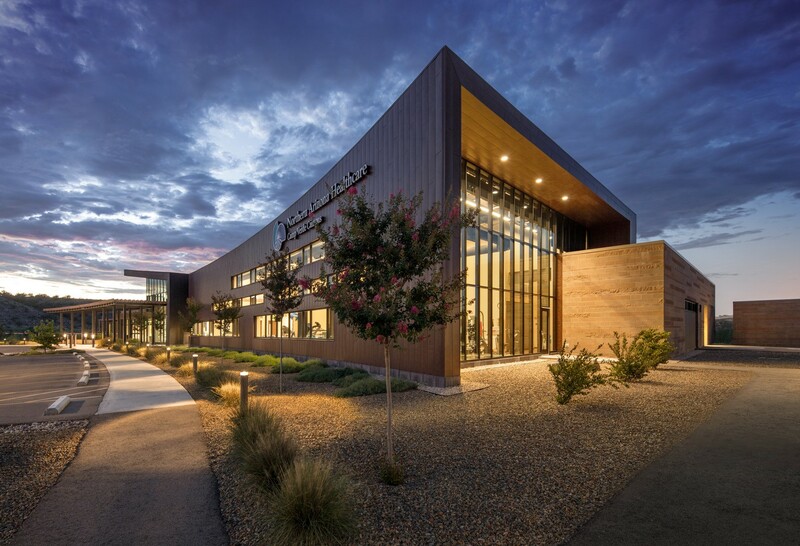 The services offered at the new location emphasize wellness and preventive care, supported by a facility design that blurs the line between the natural and built environment and promotes active lifestyles. 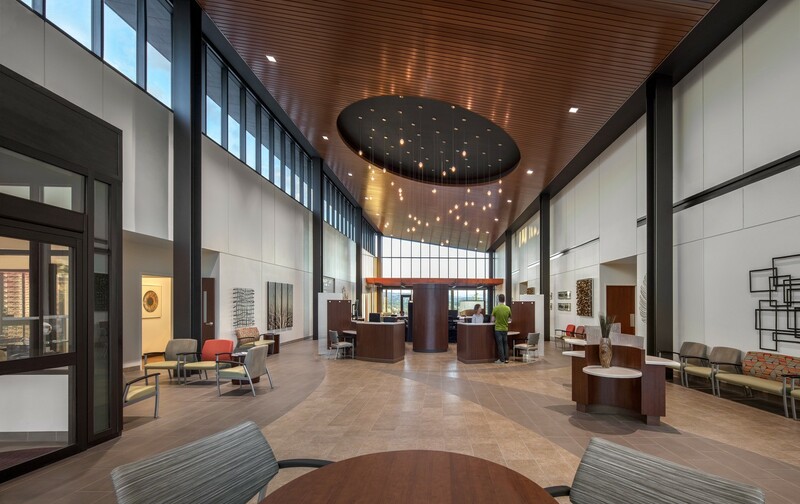 Programmatically, the facility combines an “on-stage / off-stage” clinic that supports seamless communication between providers and staff, with education and outreach services to support healthy choices and chronic condition management. 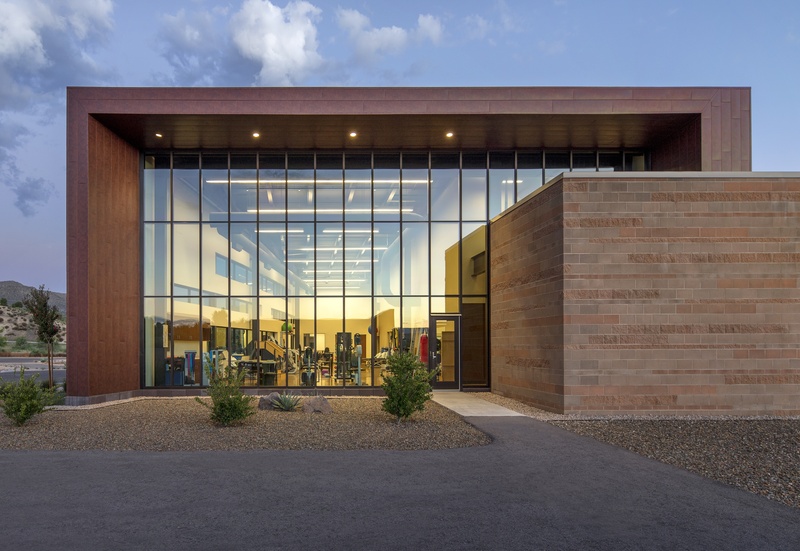 The project’s site transitions fluidly from amenity to treatment space through a rehab sport court, publicly-accessible walking trail and indoor / outdoor collaboration hubs that extend education and treatment to the outdoors. 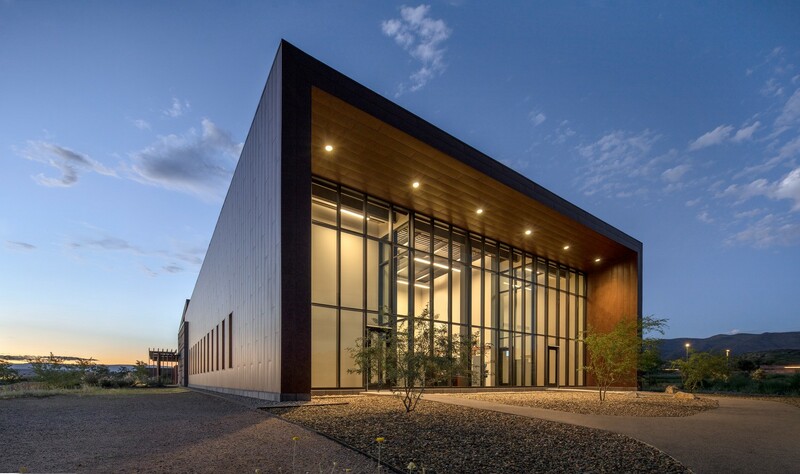 Influenced by an extensive community engagement process, the building is carefully integrated into its desert environment. 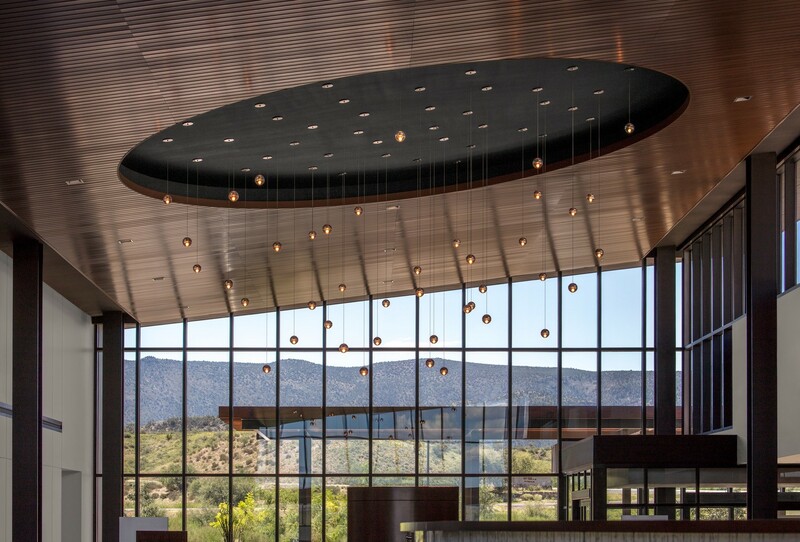 Its angled forms and overhangs showcase the surrounding landscape while protecting interior spaces from heat and glare. High-performance mechanical and lighting systems minimize energy use, and indigenous plantings eliminate the need for irrigation. Material choices and design features, such as copper cladding and locally-quarried limestone site walls, reference the region’s geology and history, creating a campus that is uniquely tied to its context and community. Listening is the key to meeting someone’s needs. Throughout this process, NAH asked and listened to the community and used this knowledge to shape our plans for the future.